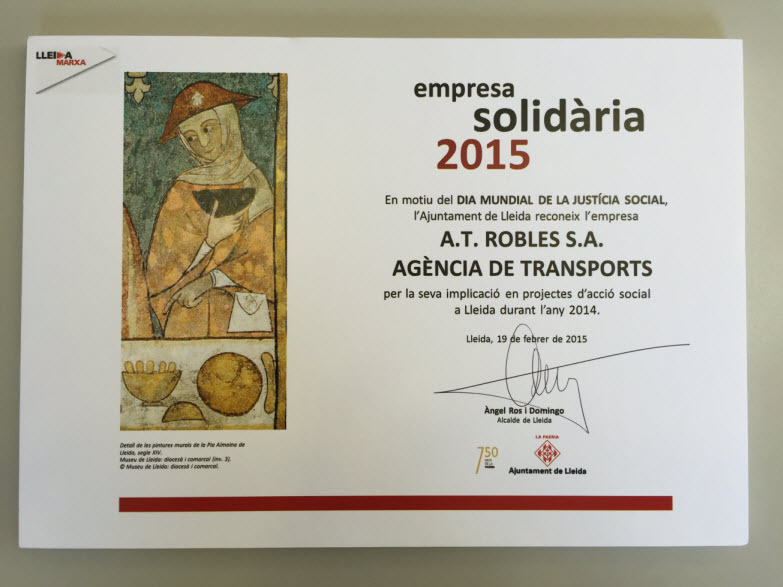 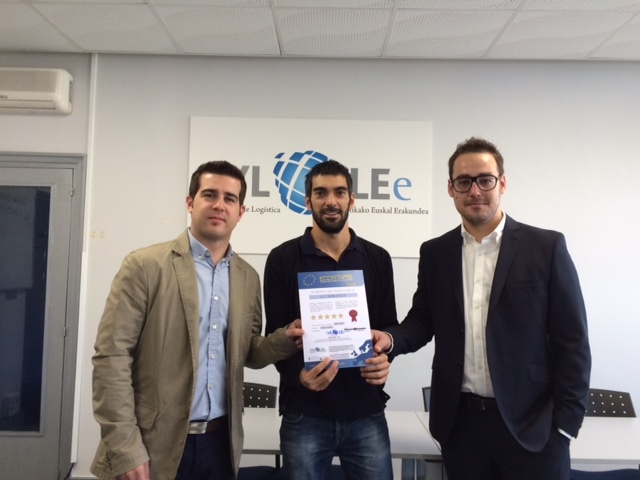 Transport Robles receives part of Lleida City Council recognition as a charitable company in 2015 through its social action project with the Food Bank of Lleida. 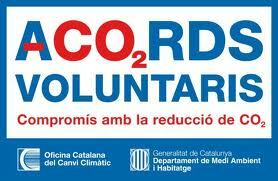 Transport Robles program adheres to voluntary agreements where the Government is committed to reducing CO2 emissions in its business. 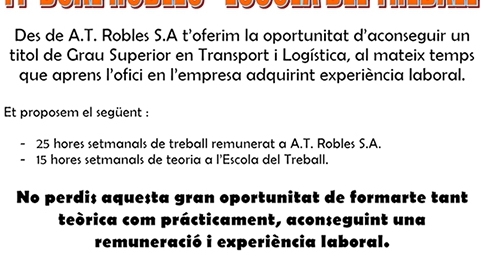 Transport Robles collaborates with the Food Bank in the campaign to collect food in different places in Lleida. 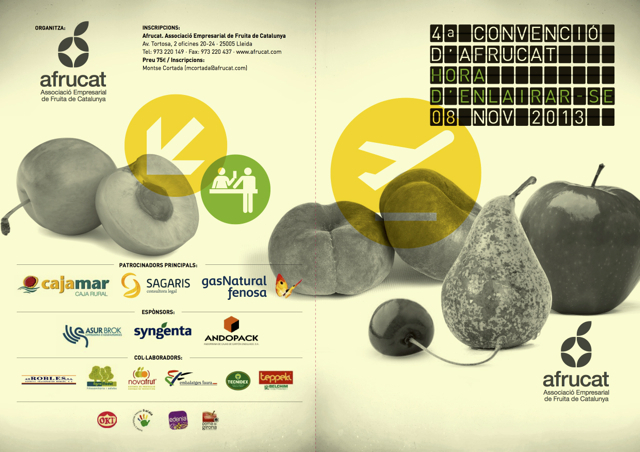 A.T. Robles SA participates in the 4th Convention partner Afrucat sole carrier sponsor of the event, thereby supporting the fruit sector. 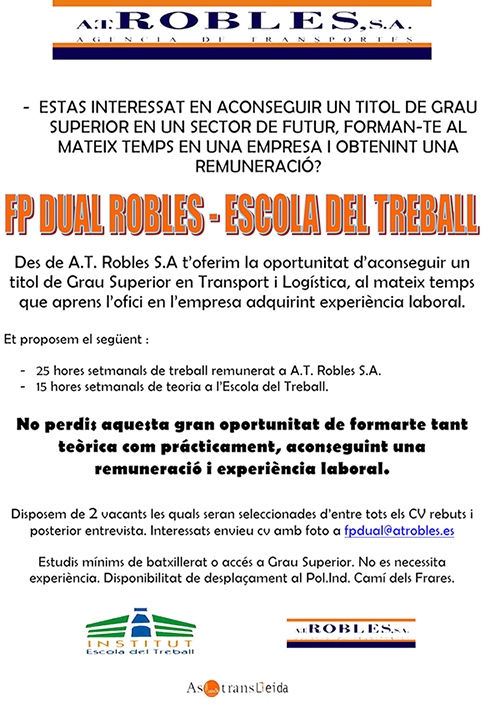 A.T. Robles has achieved significant growth in recent years, from 5 million / € turnover to almost 13 million / € 2012. 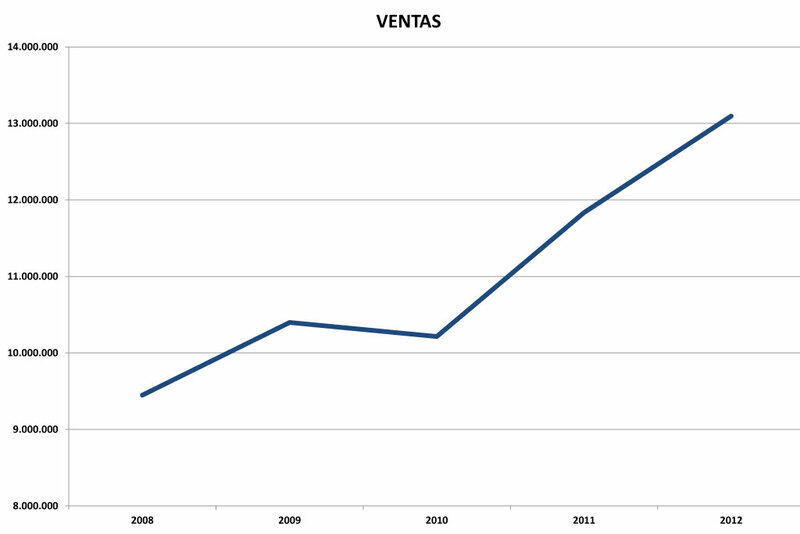 In 2012, A.T. Robles, SA Alimentario Argal joined the group in its client portfolio, one of the main grupos Eating the country. 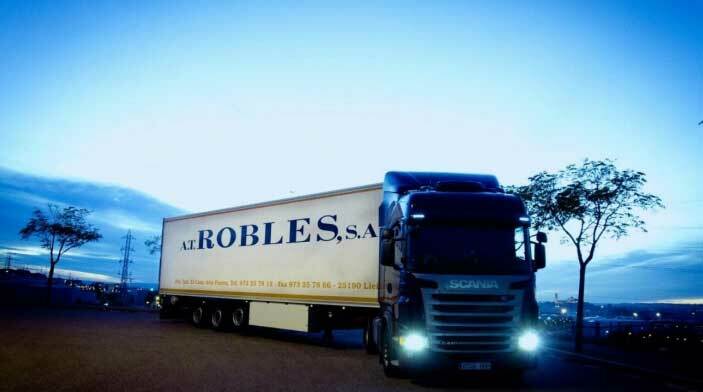 In 2012 we renovated in robles a total of 17 vehicles in our fleet. 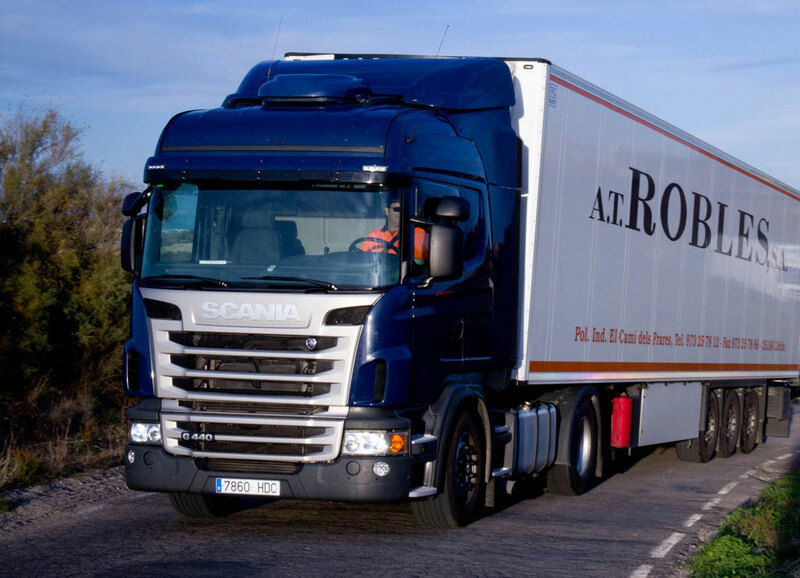 While maintaining the quality of vehicles and maintenance agreements with the manufacturer.